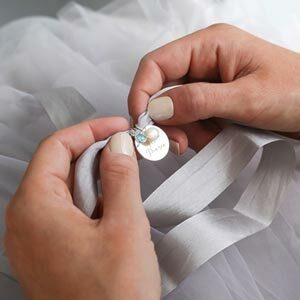 A gorgeous heart charm, personalised with the initial of your choice, on a delicate chain. Choose from our luxury valentine's foil gift cards. The Cerys Heart and Birthstone Necklace is available in both adult's and children's sizes. Our gorgeous Valentines Gift card comes included with a personalised name in the centre. Make this valentines one to remember. 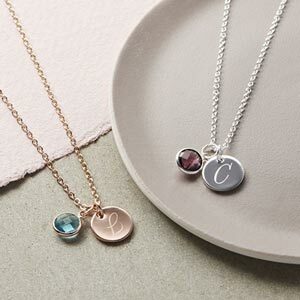 Silver or rose gold plated necklace and disc charm. Silver or rose gold plated and Swarovski crystal birthstone charms. Perfect necklace and looks great on.